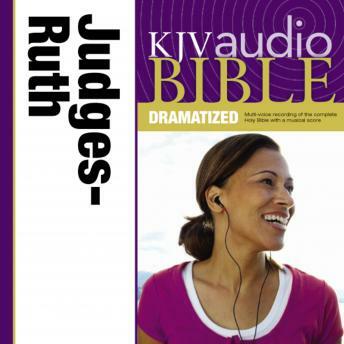 For those who value the timeless KJV translation, this new audio recording of Judges and Ruth offers a rich listening experience. Featuring top voice talent enhanced by original music and sound effects, this audio Bible brings the King James Version to life. World-class narration, a fully orchestrated background, and colorful character renderings engage the ears, the imagination, and the heart. It's ideal for drive time, exercising, or general listening.